Heat oil in large pot. Add onion and gently fry until starting to caramelise. Add garlic, ginger, lemongrass, lime leaves and chilli. Stir through before adding cauliflower & broccoli. Top up with water, just covering ingredients. Bring to the boil and simmer for 10 minutes. Remove from heat and remove lemongrass & lime leaves. Using a stick blender, blend soup to preferred consistency. Add coconut cream and stir through. Season to taste. 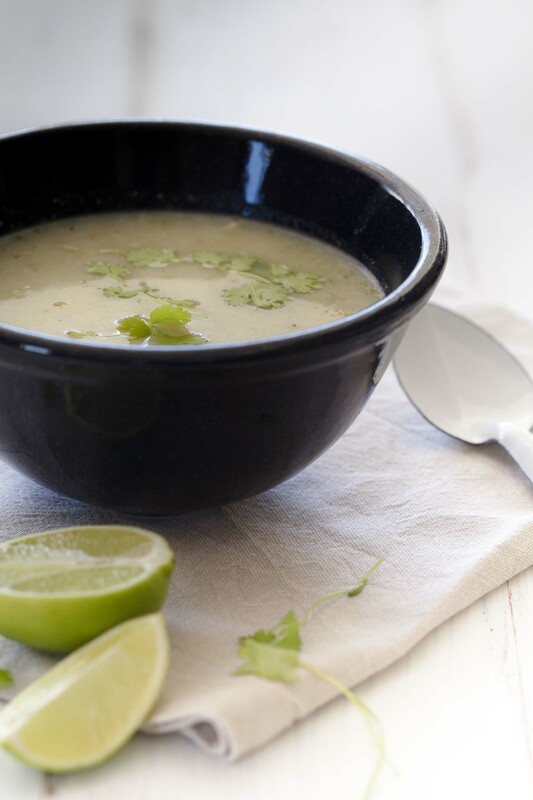 When serving, add a squeeze of lime juice and a few sprigs of fresh coriander. Decand hot soup into jars – each measuring 300ml or whichever size you have. Seal with lid and refrigerate when at room temperature. Enjoy with all your heart. This is a super special recipe of my very own.